The bleak world of 'Logan' doesn't look so far off. Canon means virtually nothing in what we might as well call the X-Men Cinematic Universe, and even though Fox’s new mutant show The Gifted takes place in its own continuity, it’s worth the mental exercise to sort out where the show might fit amongst the growing lineup of X-Men shows and movies. Hutch Parker, a producer behind many X-Men movies, said in May that The Gifted was “a completely unique story.” Still, the pilot episode name-dropped the X-Men and the Brotherhood, both of which have disappeared. This leaves the newly renegade Strucker family and the sparse members of the Mutant Underground to fend for themselves. 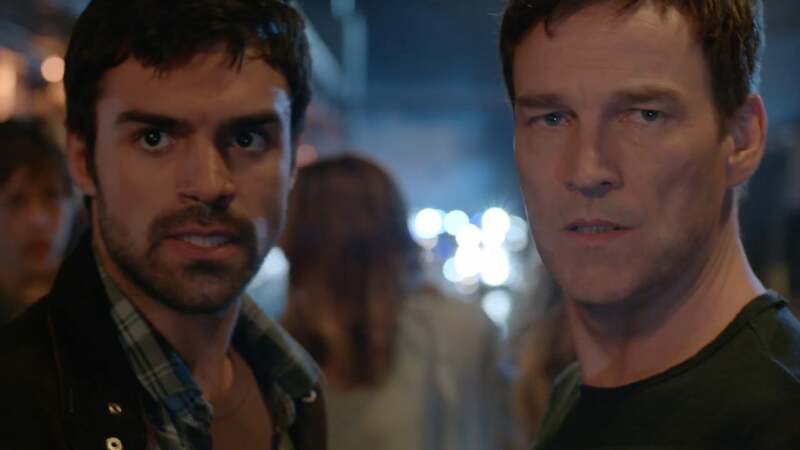 The Gifted shows what we might consider the early days of a future dystopia. Sentinel Services uses spider-like robots to track and hunt mutants, throwing them in cages for experimentation. These robots are a far cry from the massive, humanoid sentinels so prevalent in other X-Men stories, but it’s easy to imagine that they might be proto-Sentinels. Full spoilers follow for various X-Men movies. The loosest but also one of the most likely connection between The Gifted and the X-Men movies comes from First Class, which took place in the early 1960s. Events from Apocalypse probably didn’t happen, and neither did the early timeline of Days of Future Past. Why would Sentinel Services use drones and spiders when huge robots were around decades ago? All we do know is that the X-Men and Brotherhood of Mutants existed at some point. Therefore, at some point in the history of The Gifted, Charles Xavier met Eric Lensherr. Eventually, ideologically differences would lead the friends to lead combatting mutant groups. But by the time the supposed near-future of The Gifted comes around, perhaps 60 or so years later, both groups have dissolved. It helps that Matt Nix, The Gifted’s showrunner, confirmed with Comic Book Resources that Polaris is indeed Magneto’s daughter. Much like how Legion only tangentially references Charles Xavier as David’s father, The Gifted might do the same with Eric Lensherr. By the end of the first X-Men trilogy, Cyclops, Jean Grey, and Xavier all die and Wolverine leaves. Magneto is de-powered. Both the X-Men and Brotherhood as we know them disappear. Storm does keep Xavier’s school open as a safe haven for mutants, the Federal government grants rights to mutants, and Beast gets appointed to the United Nations. Despite casualties, the ending is almost uplifting and optimistic. But it’s possible that over the following decade, everything the X-Men fought for crumbles. Maybe Storm gets killed, leading to Xavier’s school getting shut down. Mutant rights get revoked, and anti-mutant sentiment picks up again. We don’t need to get bogged down in the minutia, but the important takeaway is that after The Last Stand, the X-Men and Brotherhood are no more. You'll recognize Blink's distinctive eyes, hair, and powers in 'The Gifted'. The Gifted borrows several mutants from the dark future presented in Days of Future Past, most importantly Blink (featured above) and Sunspot. Thunderbird in The Gifted is the brother of Warpath, who also played a similar role in Days of Future Past with similar powers. These nods to the 2014 X-Men movie reinforce what should be obvious to viewers and fans of the franchise: The world presented in The Gifted could resemble Days of Future Past unless big changes happen. In the continuity of 'Logan', Xavier accidentally killed all the X-Men. Logan almost opened with a crucial scene that’s referred to as the “Westchester Incident.” When an aging Xavier has an intense seizure, his powers cause him to send out psychic pulses that can kill humans and even mutants. In the Westchester Incident, which happens years before the events of Logan, one such a seizure injures hundreds and kills seven. Among those dead are the X-Men. Imagine a world where humans retract their support of mutants after a devasting incident like this happens. The X-Men are dead. Logan gives up on life and goes into hiding with Charles, two sad and guilty old men wasting away. What happens to the remaining mutants with nobody to protect? We saw the experimentation that happened to Laura and her friends in Logan, and the drones used to track them towards the end of the movie serve a similar purpose in The Gifted. If The Gifted were in the same timeline as Logan, it would have to be long before Dr. Zander Rice concocted a variety of corn that suppressed the mutant gene. Logan says at one point that there hasn’t been a natural-born mutant in something like 25 years. The Gifted airs Monday nights on Fox at 9 p.m. Eastern. If you liked this article, check out this video on the Wolverine’s guide to burning people.